Square One is an extremely powerful stripping compound formulated exclusively to remove long-term build-ups of floor finish and wax. The dual-solvent system quickly penetrates and re-emulsifies even the most highly burnished solids. 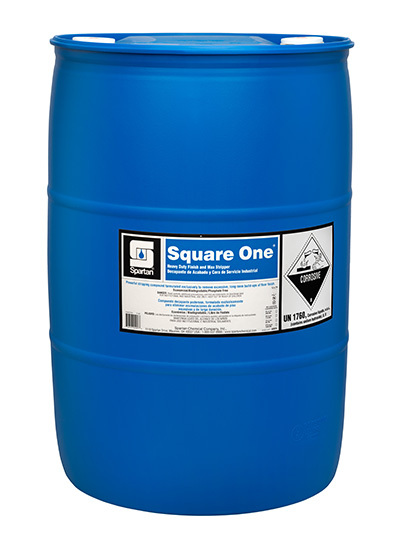 Square One’s high performance, low foaming wetting agents reduce the time and cost normally required when the stripping task is particularly difficult.